Van der Sterre Banketbakkerij - Delicacies & Drinks in Dordrecht. 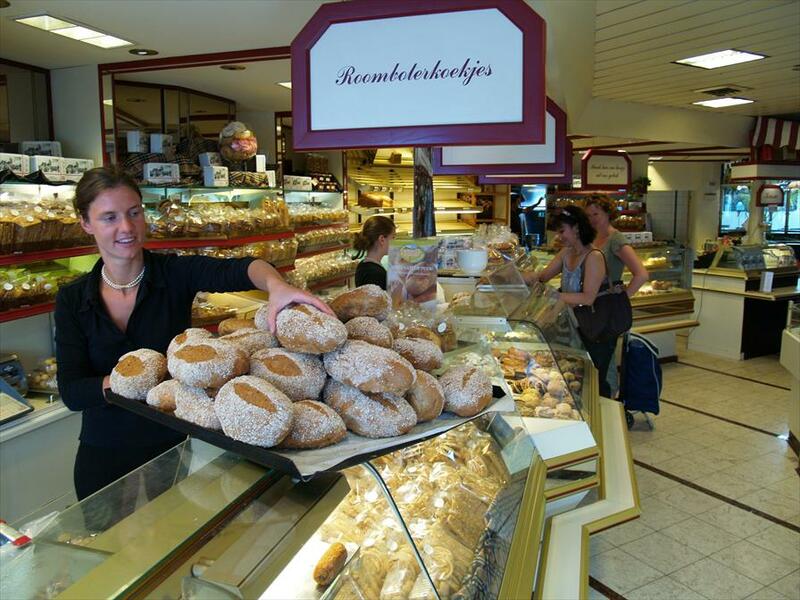 This shop has a large selection of cakes, tarts, biscuits and crackers, rolls, chocolate, bonbons, truffles and apple cakes, one of Doodrechts specialties. Besides this one can enjoy an afternoon tea, small lunches and coffee and cake. One can also give an afternoon tea as a gift, with the purchase of a voucher. Van der Sterre is a well established baker. The products are made on the premises at the back of the shop in a professional manner with the use of good quality products. Thus always being assured of high quality produce. The shop has a chic English quality to it, whereupon they use Burberry design in their décor, combined with black white and golden brown. With this, and the wonderful aroma of baked bread in the background gives the shop a very warm inviting atmosphere. The Doorecht speciality, “applemarijnen” are baked in this shop. These cakes are, in fact apples baked in flakey pastry with the addition of almonds. The name Marijn came from the bakers daughter from a former time. So the shop of today has retained this name, for the special apple cake.